Republicans love using veterans for political props as much as they love pretending to be working class heroes. But since chicken sh*t hawks love it when some middle-class parent’s kid does the fighting to fatten their defense portfolios, it’s important to expose them as such whenever humanly possible. One of the most egregious and mind-boggling hypocrisies is when Republicans cut veterans’ benefits — all while hypocritically draping themselves in the flag and whoring it out like it was a brothel worker. If that’s the case, then Donald Trump is the brothel owner. Despite trying to present himself as a hero among our active an inactive troops, including promising to make a huge donation to Veterans only to never actually make it, our uniformed men and women are about as impressed with Trump as Megyn Kelly is. 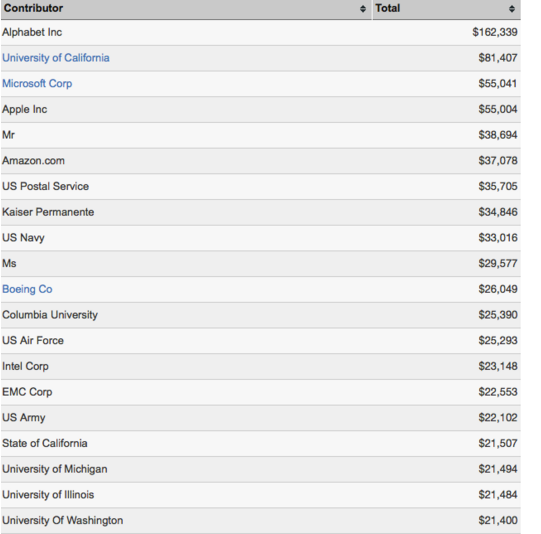 However, one candidate has not only received an outpouring of support from veterans, he’s raised a lot of money from them too. I’m referring, of course, to Bernie Sanders. 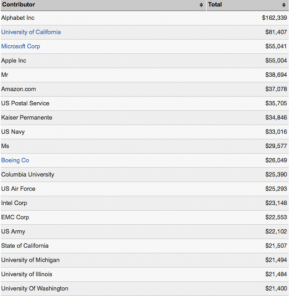 Indeed, military members are really “Feeling the Bern.” According to recently released FEC filings, some of Bernie Sanders’ top contributors are employed by the United States Army, Navy (including the Marine Corps), and Air Force.